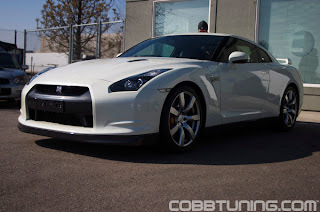 Home > Untagged Cobb Tunings R35 GT-R has arrived. Cobb Blog. Say that 10 times fast. Cobb will be developing aftermarket parts for the R35 GT-R. Their car is going on the scales, and then the dyno very shortly.